First Spare the Air alert issued for Wednesday. 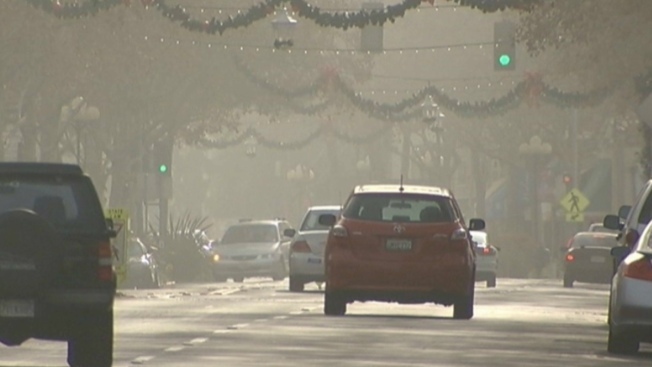 The Bay Area Air Quality Management District has issued the first Spare the Air Alert of the summer season for Wednesday because of a forecast for unhealthy amounts of smog. Even though it's still springtime, air district executive officer Jack Broadbent said that summer-like conditions will lead to hazy skies. Unhealthy levels of ozone accumulation are anticipated because of hot weather and light winds combining with motor vehicle exhaust. Air quality is expected to be moderate throughout much of the Bay Area, but unhealthy for sensitive groups in the air district's eastern region, which includes parts of Solano, Alameda and Contra Costa counties. Cities within the eastern region include Benicia, Antioch, Concord, Walnut Creek and San Ramon. The air district is encouraging commuters to carpool or ride public transit rather than driving alone to help reduce the impacts of smog. Other good options include biking to work or telecommuting. Wednesday's smog alert is taking place in the middle of Air Quality Awareness Week, a nationwide advocacy campaign that ends Friday. For more information, people can go to www.sparetheair.org or call 1 (800) HELP-AIR.